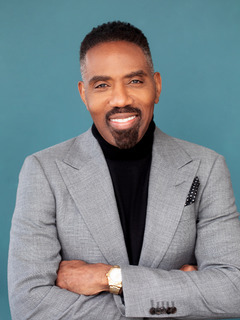 Louis Carr, President of Media Sales, at Black Entertainment Television (BET) Networks, is one of the most influential and prominent African Americans in both media and marketing industries. He has been responsible for more advertising dollars targeted towards the African-American consumer markets, than any other professional or company. In 2016, he celebrated his 30th year anniversary with BET. In the same year, he earned the Diversity Award from the Hyatt Corporation and another Lifetime Achievement Award from the Patricia Martin Legacy celebration honoring his work around diversity from both personal and professional standpoints. Carr has also been listed on NAMIC’s Most Influential African Americans list in the cable industry several times. Utilizing his B.A. in Journalism from Drake University, Louis Carr has become a compelling author, writing two books titled Dirty Little Secrets and The Little Black Book: Daily Motivations for Business and Personal Growth. His engaging books share anecdotes from his captivating success story. These nuggets of wisdom were written with the intent of paying it forward and telling his individual story. Throughout childhood and along his career path, Carr acknowledges the encouragement and help received by others who deemed him “special” even before he believed it himself. Undoubtedly, Carr openly lays out his own roadmap to greatness with sure fire tips to aid students, business professionals and those in pursuit of self-purpose to get to the next level. He most recently became a TEDx Speaker, emphasizing “The Necessity of Being Uncomfortable”. He has served on boards of the Ad Council; International Radio and Television Society (IRTS); American Advertising Federation (AAF); and the Video Advertising Board (VAB), formerly the CAB. He currently serves on the board of the Boys Hope Girls Hope and the United States Track and Field Foundation. He is a dedicated mentor and benevolent philanthropist. Devoted to diversity, Mr. Carr has hired more people of color than any other executive or company within the media industry. Additionally, for more than fourteen years, the Louis Carr Internship Foundation (LCIF) has dedicated its efforts to improve diversity in corporate America. By placing undergraduate students of color in paid summer internships, Louis further demonstrates his commitment to helping others gain exposure and experience.